Museum grade Negative Manifestation Enhydro. The cloud band and layering near the base show the rare Master Self-Healed formation. This can be a difficult formation to identify, but this is a clear and excellent example. This is a seriously rare combination of 2 of the least common of all metaphysical quartz formations; Negative and Master Self-Healed. 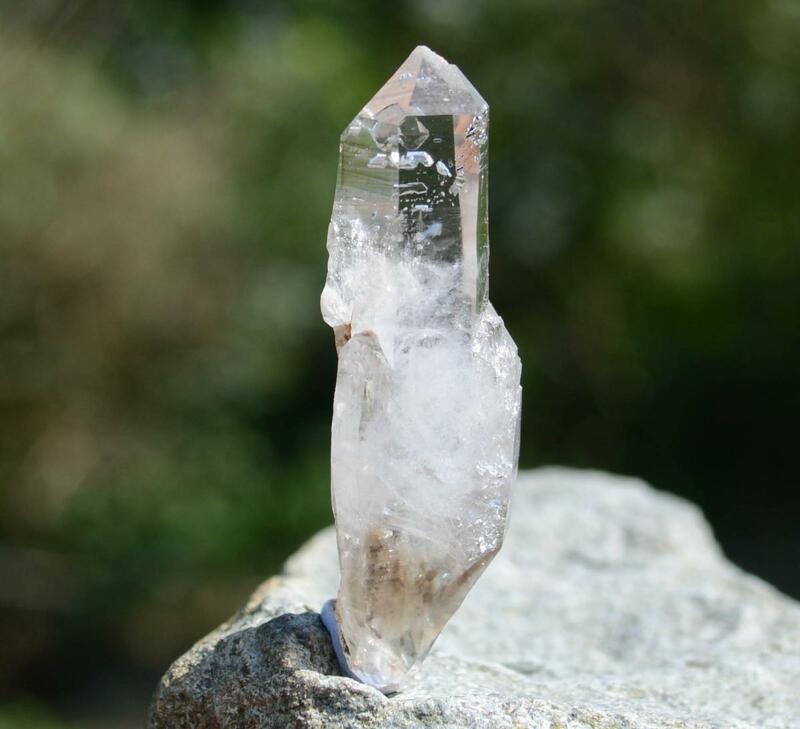 "Another type of self-healed crystal is one which has been broken (exhibiting the break in the horizontal plane, or close to the horizontal strata), with the break being healed and the crystal structure being again complete. 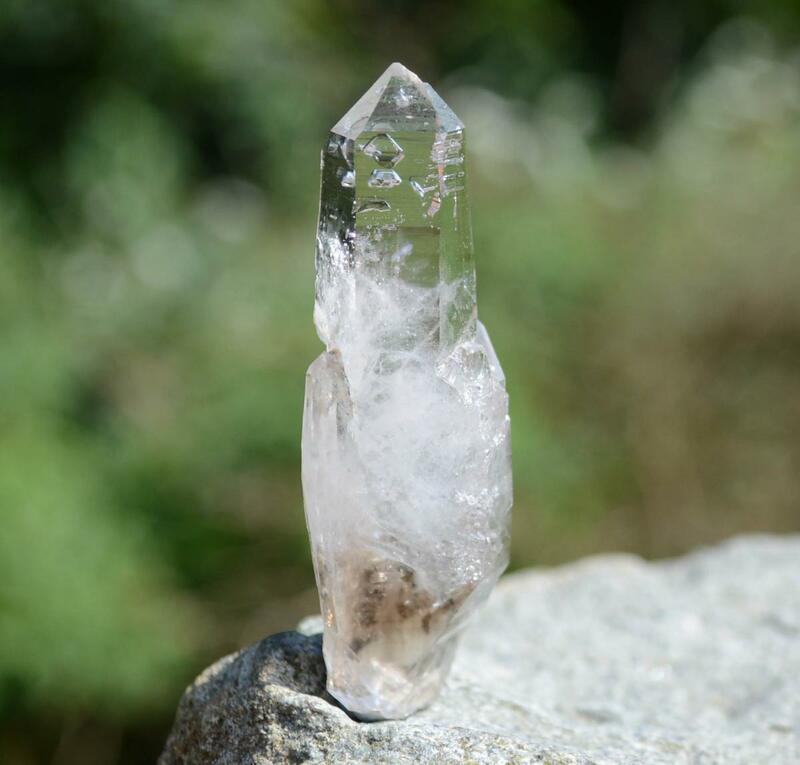 This crystal is the master crystal in the art of self-healing." Melody, Love is in the Earth. 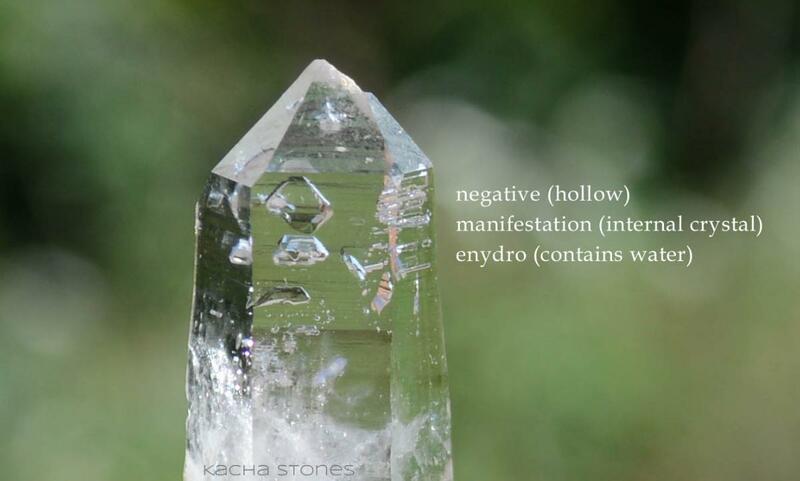 Negatives Manifestation Enhydros look like the internal crystals of the Manifestation formation but are actually crystal shaped water pockets. They possess the properties of "regular" manifestation crystals and enhydros, in addition to their own, little-understood properties. This lack of information is largely due to their rarity, but also their subtlety. This formation represents a world within a world.